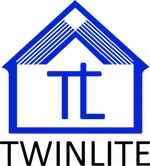 Twinlite is a Real Estate company based in Dublin, Ireland. We have two divisions, new homes and rentals. Our new homes division focuses on building homes across Dublin. Our rentals division manages a large amount of single family housing which is available for rent. For more information, please see our website by clicking here.